Let's support Fapet UNPAD student volunteer team to help victims of disaster in refugees barracks. 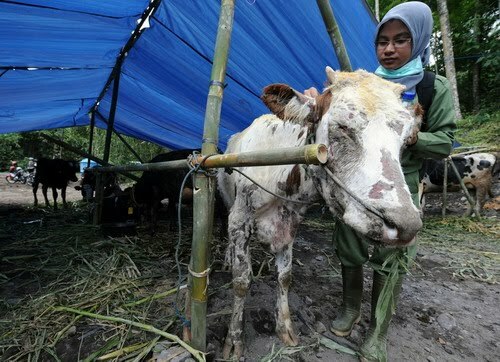 Team also has a program to search and rescue for cows and etawa goats in natural disaster area in around mount Merapi. Send your donation, as Alumni of Fapet UNPAD to our accounts: Bank BCA acc 8020097371 or Bank Mandiri acc. 137-00-0555443-7 (both with name Yus Kadarusman as administrator of this website & page on fb). Send your confirmation after transfer to 081229128001.